"They treat me differently, now." Teach the people at work. Send them to the web site. True healing begins at home. in your church, library, school, or living room. 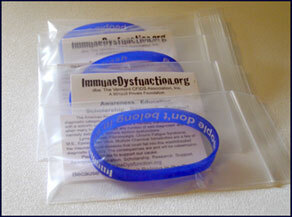 Package includes 1 film, 5 books, & 20 Wristbands w/cards. 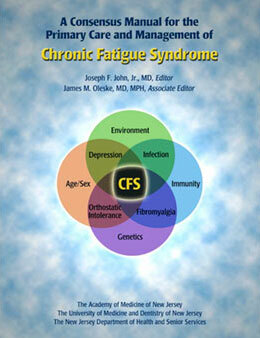 Dr. Kenneth J. Friedman VT CFIDS Association Medical School Scholarships. Awarded to educate future physicians in Vermont. The current course presented by Kenneth J. Friedman, PhD. 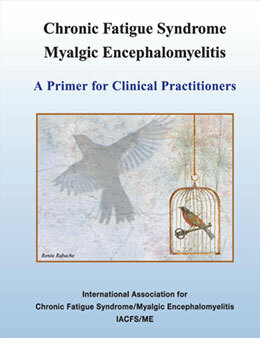 addresses the diagnosis and treatment of ME/CFS as agreed upon by the international authoring committee who wrote the ME/CFS Primer for the IACFS/ME.